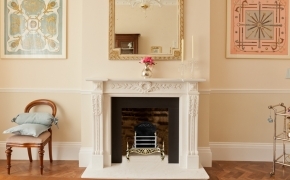 English Fireplaces specialises in creating authentic reproductions of period style French fireplaces and fire surrounds carved from the finest natural materials – marble, limestone, sandstone and beautiful wood. Our fireplaces are typically hand carved by time served master craftsmen faithfully reproducing authentic period designs. 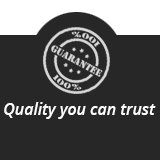 Such are their capabilities that our fire surrounds regularly received Listed Building approval. English Fireplaces selection of French fireplaces and fire surrounds centres on two specific – and quite clearly different styles. And of course the reason for this choice is because the French style of fireplace is so different from its English counterpart. 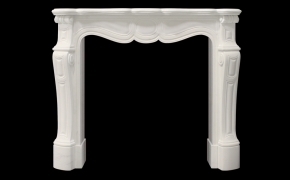 Where an English fire surround conforms to the rules of architectural form and proportion the French equivalent gives full rein to luxuriant curves and detailed carving that fully test the carvers’ skills. 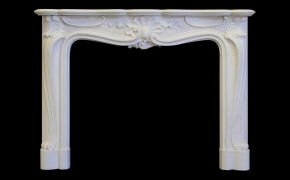 The two specific styles that our French fire surround collection offers are: the Louis XV or rococo style – exemplified by the Louis XV and Louis Pompadour fire surrounds; secondly we offer the Louis XVI and Empire styles characterised by fireplaces with a more regular rectangular form but decorated with intricate carving. 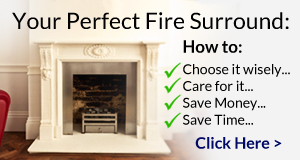 Both fireplace styles were highly popular in Britain from the early 19th century onwards – and they remain so today. Whatever the period of origin a period fireplace is a beautiful adornment to the room – as long as it is in proportion it will add harmonious character to homes old and modern, both period and contemporary. 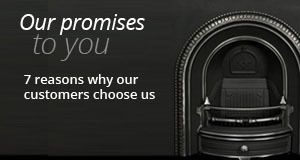 English Fireplaces will be delighted to help with your choice of fire surround in any way we can – and remember we are not limited to our standard collections of period fire surrounds – our bespoke service can provide you with a reproduction of virtually any fireplace you can provide us an image of.